Henri is just hanging loose. He’s ‘chill.’ Well here’s the deal. 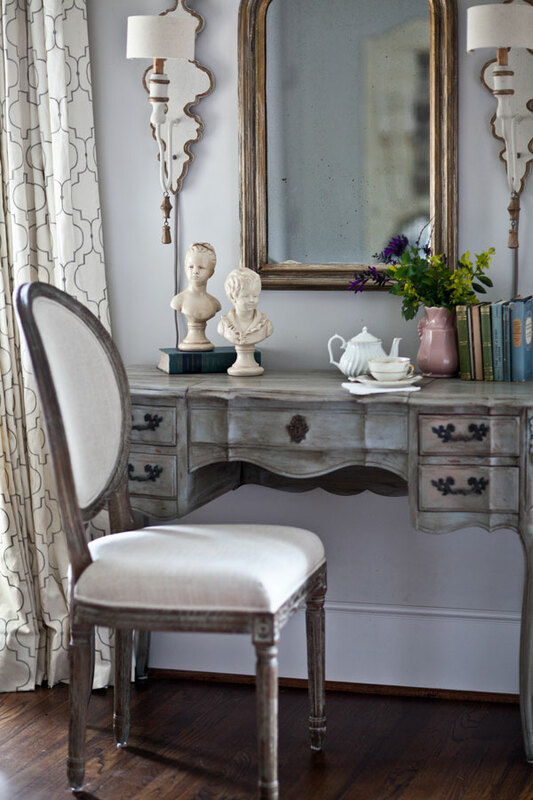 These aren’t really ‘French’ meaning they are not made in France, but they do give the desk an old world feel that is reminiscent of all French style. They look French, even though they are not. 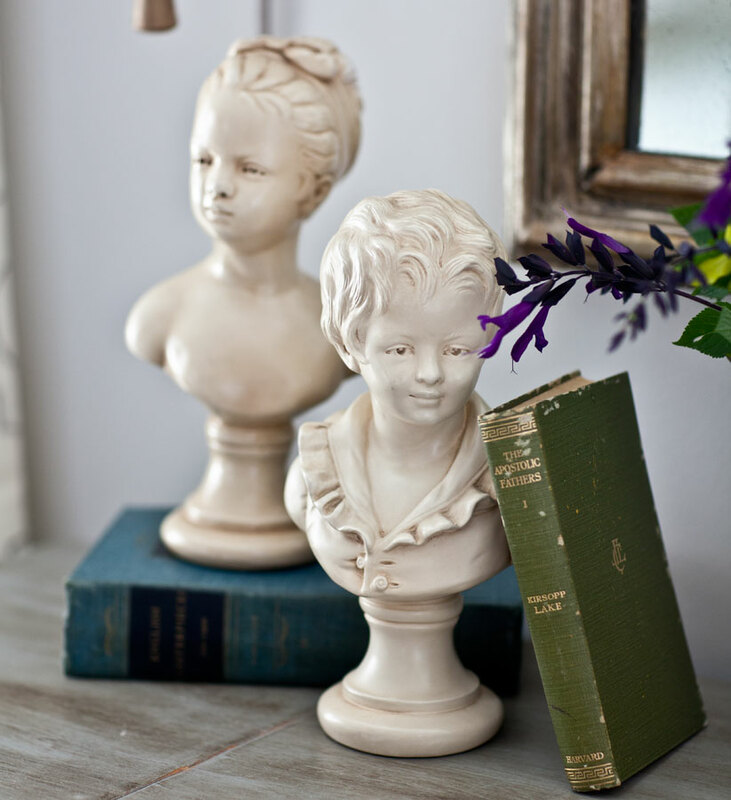 This charming couple is from the etsy shop of Edith and Evelyn. 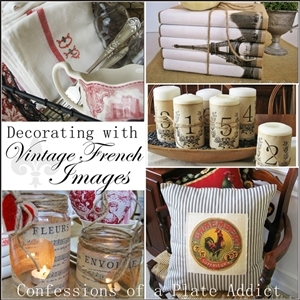 She really does have an amazing selection of vintage items that are either French or just have a French feel. I was not paid to say that, I just love her shop. So in here I used lots of vintage books that belonged to my father-in-law. Many were used while they lived in Switzerland. I know because they have his Swiss address in them. I used smaller books on this desk/vanity. 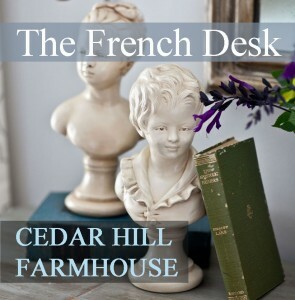 I love using vintage books on a French desk or vanity. Other items I often use on this vanity include small statues and trophies. I put my lipstick and make up brushes in the trophy. Sometimes I put a silver water pitcher on the vanity. I try to always keep the books here. 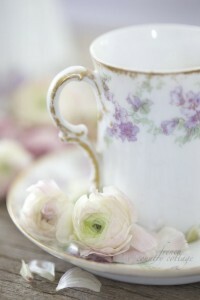 I think something you can do is use something old and vintage if you want a romantic country French look. 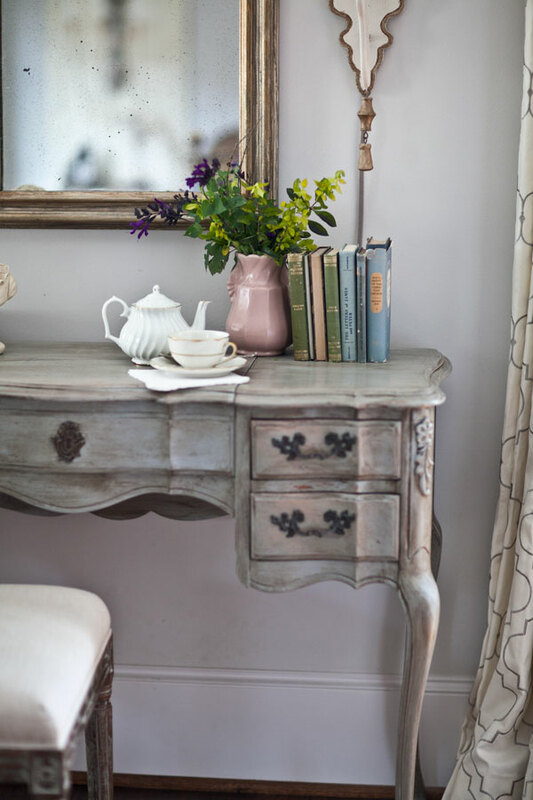 Even if your items are not necessarily French, often they will work if they look old. Anything silver usually looks fabulous. 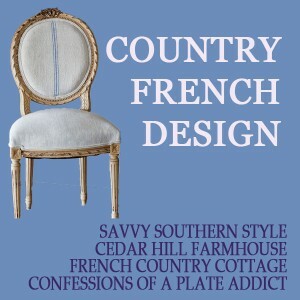 For more ideas on how to get your ‘country French style’ on, please visit the other blogs joining me today. I love the size and shape of that desk and it fits so beautifully there. 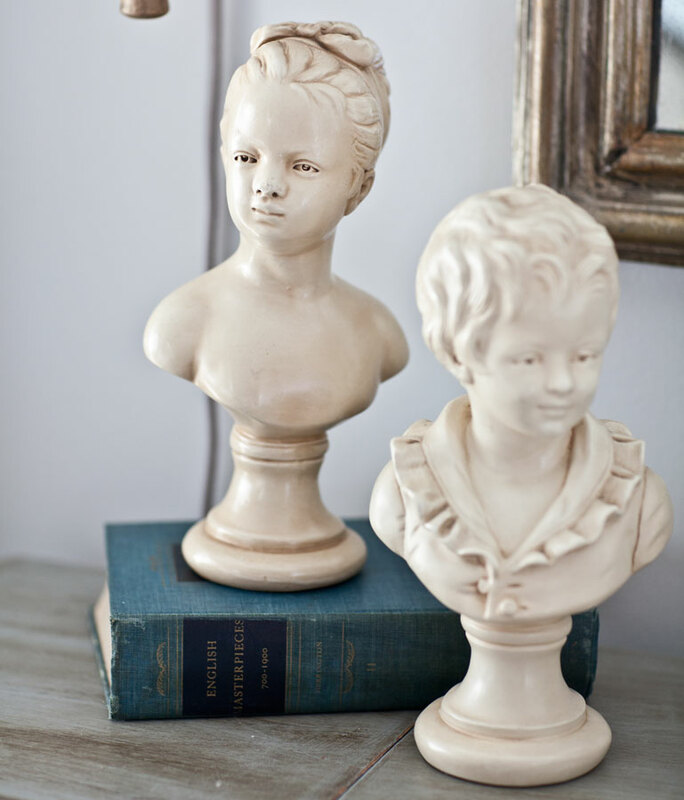 Cute busts and I love her shop, too. Anita, your “kids” look perfect on the French desk! Did your chair come from World Market? I’ve been looking at those for my dining room table, but haven’t pulled the trigger yet. It looks lovely with your desk! 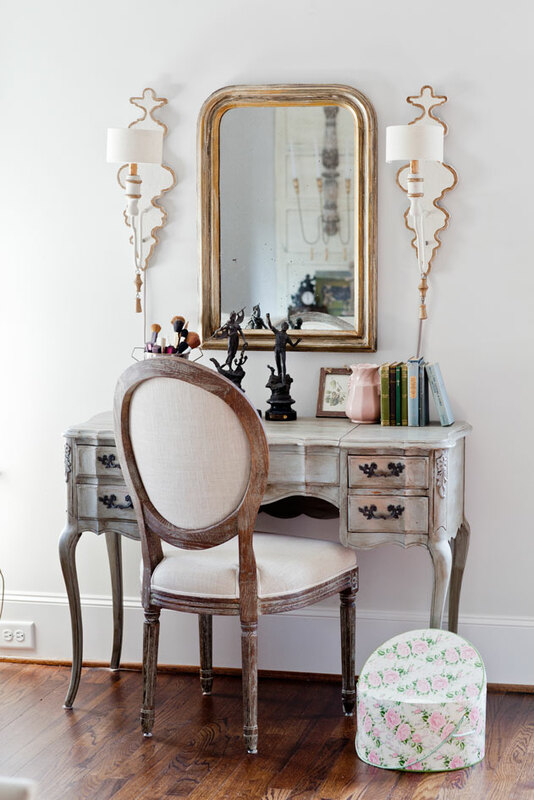 Anita, i Love your vanity style desk, and the wall sconce lamps, I have said this before with WowNess on my mind. 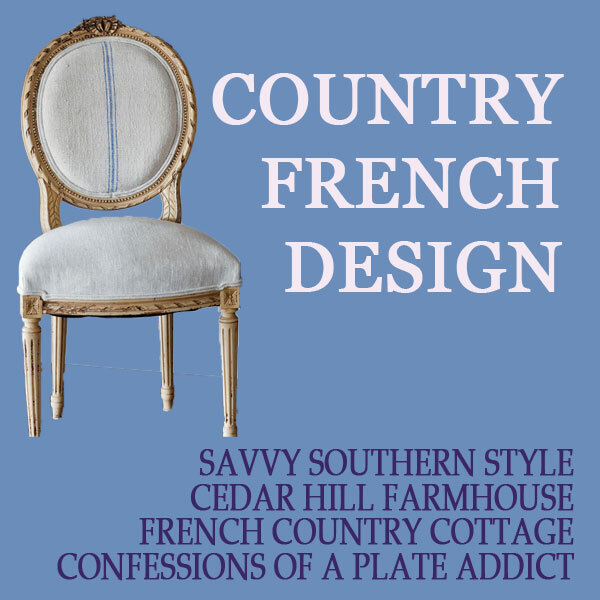 They are wonderful in your French setting, and would love the, in mine. Love the French language here with all things muted in French grey. I am in LOVE with the paint finish of your desk!!!!!! 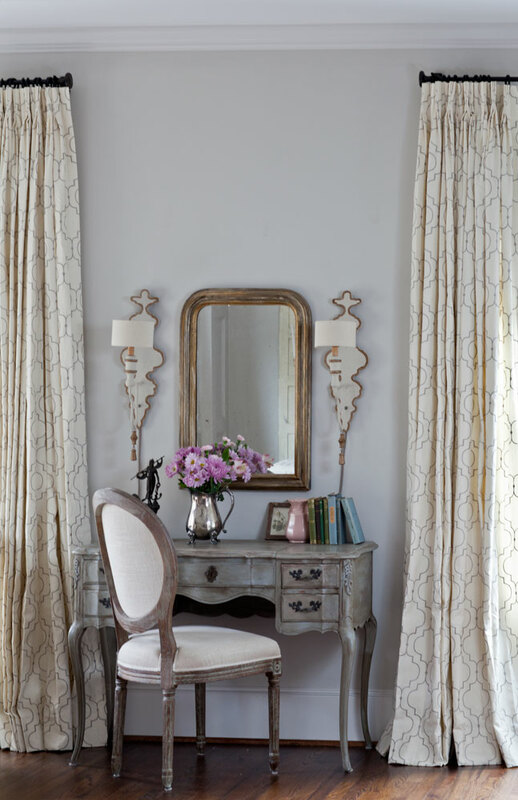 I also have the World Market chairs and I love how the finish of the desk looks w/them. Did you paint it yourself? If so, would you share what products you used? Thank you so much. I love your French desk Anita! What paint technique did you use to get that finish?